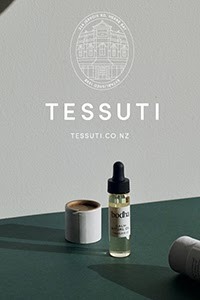 The start of the year has brought with it plenty of exciting design news on the web as well as arriving daily to my inbox. I've picked out some favourites to share with you today! 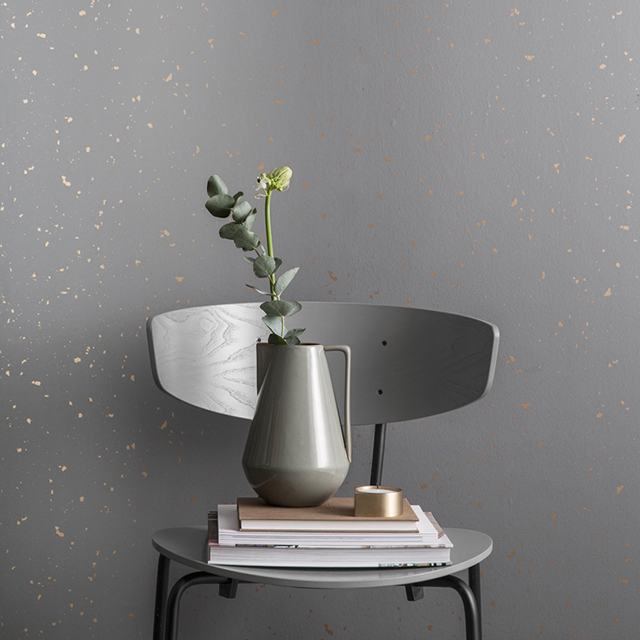 Swedish brand Sandberg Wallpaper have collaborated with Annaleena Leino-Karlsson to showcase their latest range VINTERSKOG designed by Johanna Vestlin. 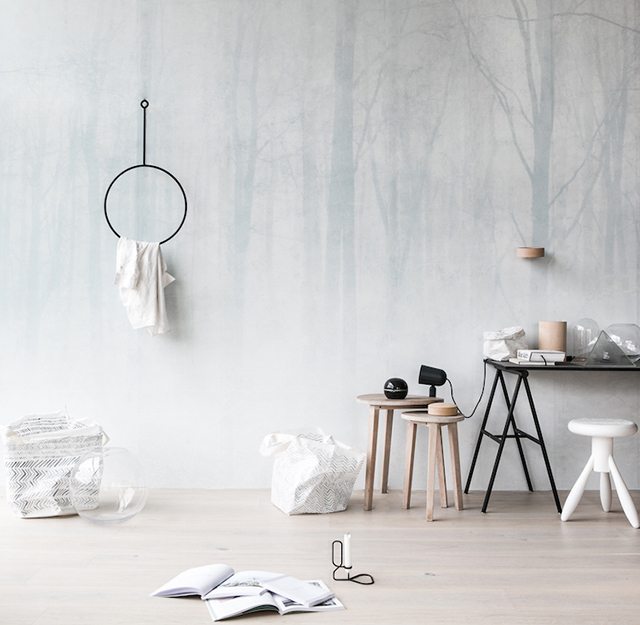 A tribute to dreamy Scandinavian winters, the beautiful palette depicts a calm and quiet snow-covered forest. Beautifully styled by Annaleena in her newly built home, the wallpaper provides a gorgeous backdrop when paired with whitewashed oak floors and simple, monochrome details, including Annaleena's own minimalist clothes hanger. 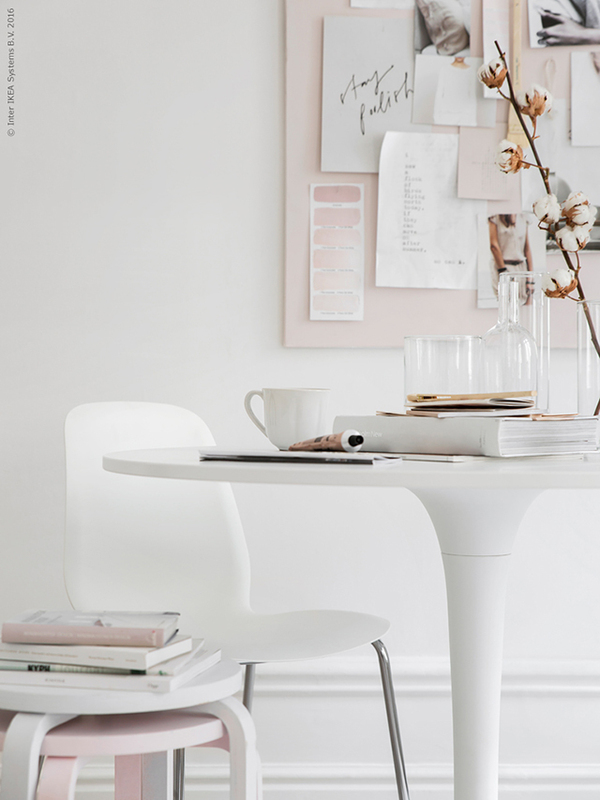 A lovely table/workspace setting via IKEA which features a pretty combination of crisp white and soft pink. For product details take a look here. 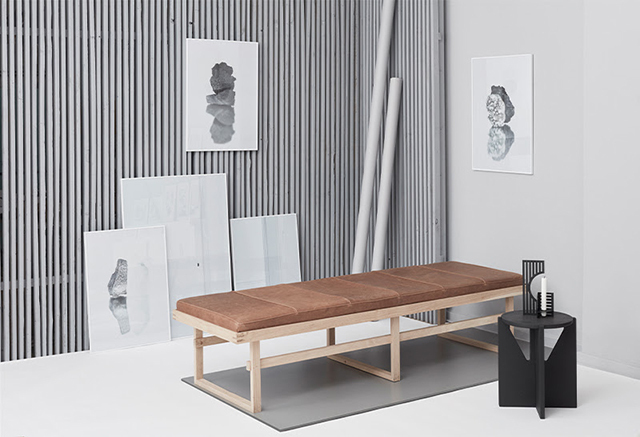 Danish designer Kristina Dam continues to expand her collection of art prints, furniture and accessories with an incredible line up for Spring 2016. 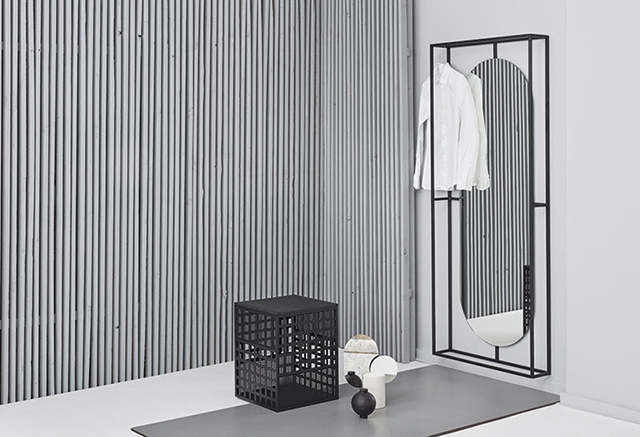 Some of my favourites include the Vertical Daybed made from soft leather and oak, a new Stone Poster Series featuring photographs of natural crystals and stones with a clean and graphic expression, and the beautiful Outline Mirror which has a steel frame providing a place to hang favourite items of clothing. 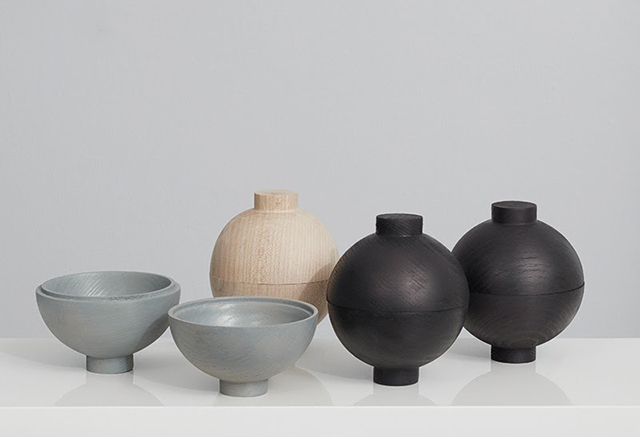 I also love the Wooden Sphere, which features two turned wooden bowls that can be used separately or placed together. 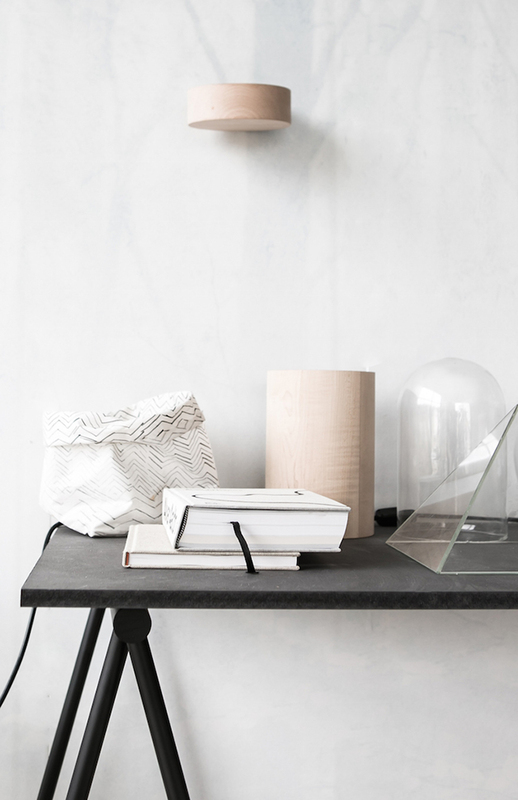 Made from oak, they come in natural, black or grey. View the new collection in its entirety here. 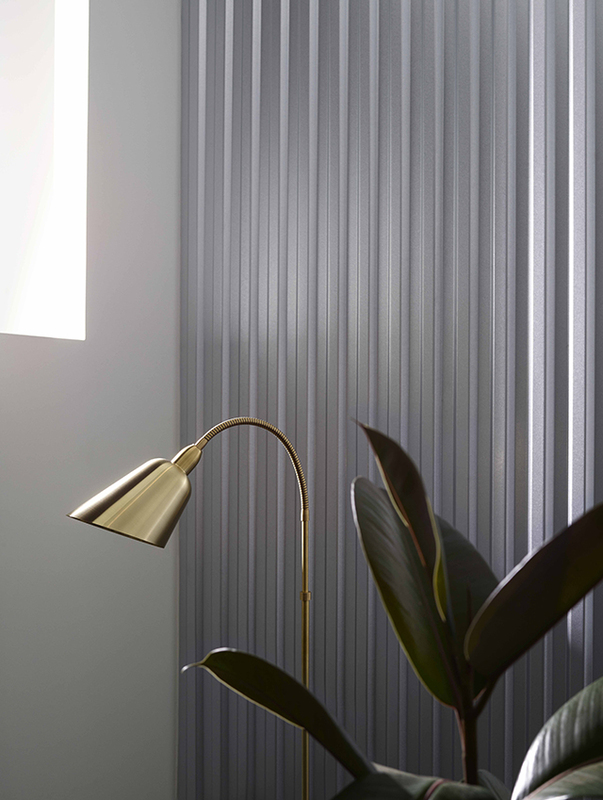 &Tradition have announced their revival of one of the signature pieces from Danish design master Arne Jacobsen, the Bellevue lamp. 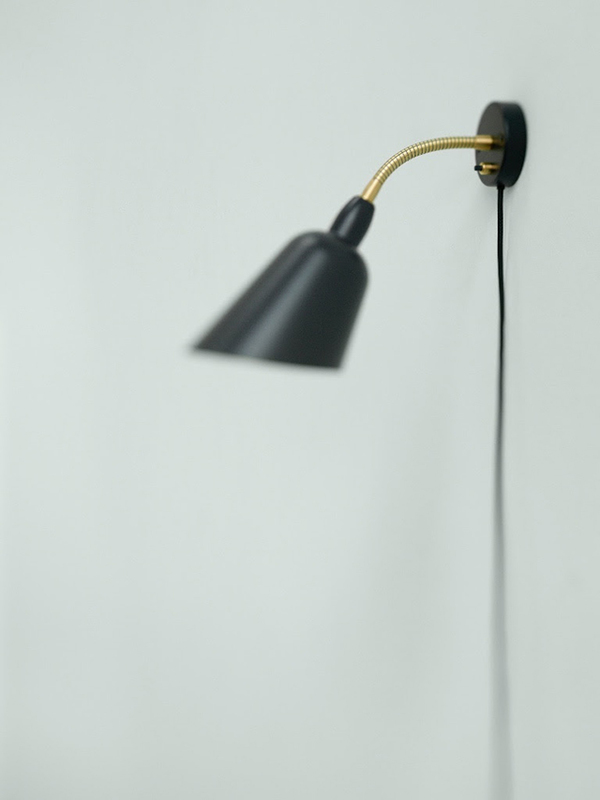 Produced in its original shapes as a floor, table and wall lamp, it will be launched in four contemporary colours. Stunning! 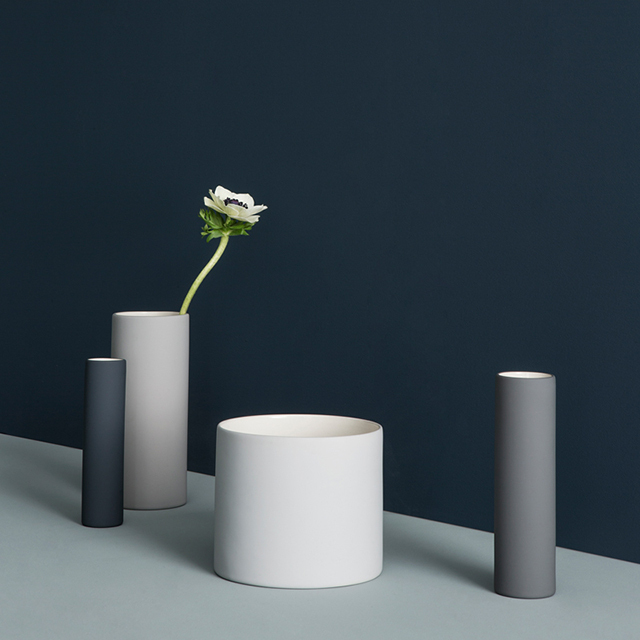 ferm LIVING always delivers an incredible array of beautiful new pieces and their latest collection, Spring Lines, is no exception. 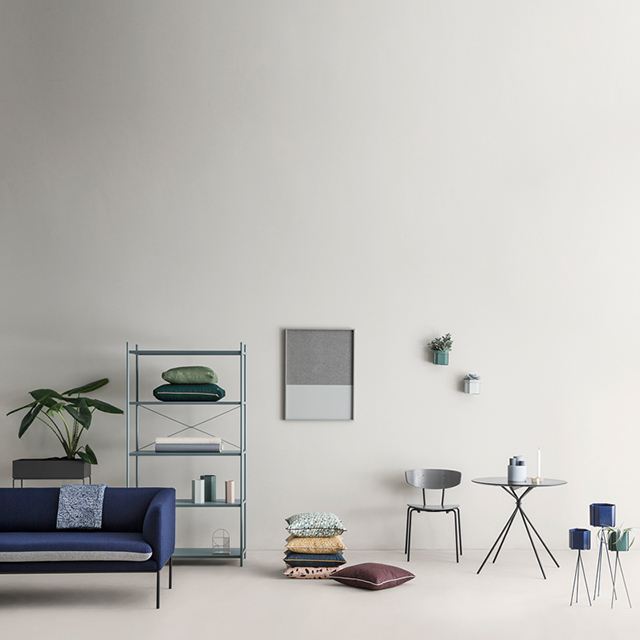 Continuing on the clean lines and strong aesthetic of their previous collection, it's exciting to see their expansion into furniture with the introduction of the Herman Chair and Punctual Shelving system. 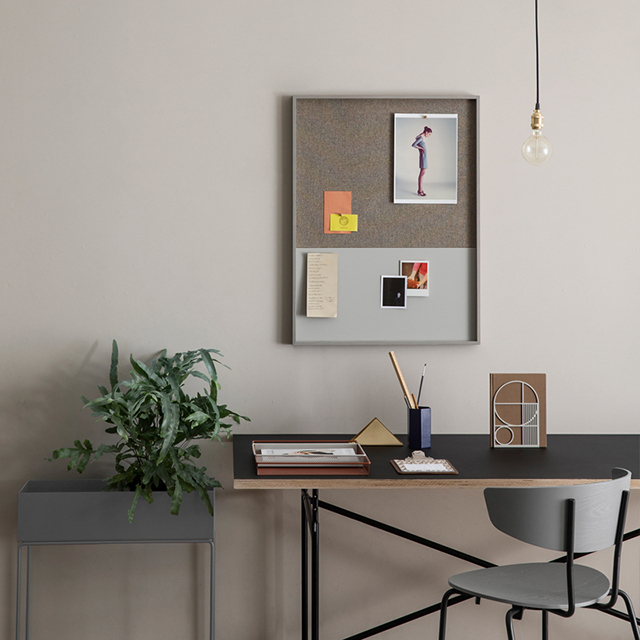 Celebrating their 10th Anniversary, ferm LIVING have also created this lovely paper to share the thriving company's products, history and the passion behind it. 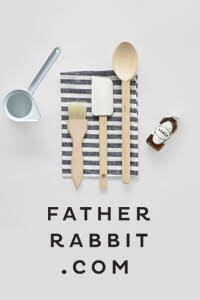 See the the full range of new products here. I'm pleased to advise that I've updated my Regular Features to include New + Noted so you can check out the previous posts in this series. There's lots of great content there! One of my many goals for this year, I plan on tidying up the other regular series and linking through from my home page. Watch this space! I also woke up to some other exciting news in my inbox this morning. 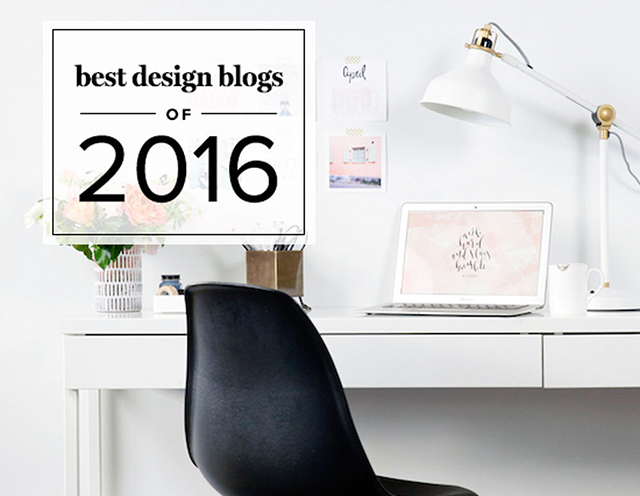 I've been included in the Best Design Blogs of 2016 by New York-based domino magazine! It is such an honour to be chosen by this hugely popular print and online platform, amongst an incredible line up of interior blogs. Pop over here to check out the full list.